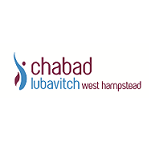 Thanks for visiting!Welcome to Chabad West Hampstead's online center. We hope you find what you are looking for and come back often! Please contact us if there is any way we can improve your experience. Enjoy! Pesach 2019Bring your family and friends to our grand Pesach Seder at the Holiday Inn, Camden Town! Sponsor A Kiddush!Celebrate a birthday, anniversary, or other special occasion, or commemorate the Yahrtzeit of a loved one, by sponsoring a Kiddush. Click Here!